OxygenLiving – The healthiest.. and the best around us..
Botanical name Bacopa monniera. Family name Scrophulariaceae. English name Thyme leaved gratiola.Sanskrit name Brahmi, Sarasvati. Hindi name Barami, Jalnim. Parts used Leaves, the whole plant. Description Bacopa is often confused with Centella Asiatic as it is also called Brahmi in South India and the US but Centella is commonly known as Gotu Cola in English. Bacopa is a profusely branched, prostate, succulent herbaceaous plant with a deep green colour. It is a glabrous annual rooting at the nodes with ascending branches. The leaves are simple, decussate, opposite, ovate-oblong, sessile, penninerved, punctate with entire margins and an obtuse apex. They are about 1cm by 0.4cm in size. 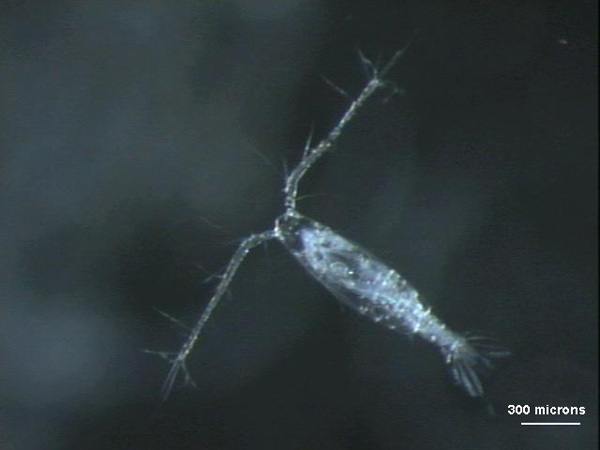 It’s fl owers are pale blue, purple or white arranged on long, slender pedicles. They are axillary, solitary, linear and with 2 bracteoles. The pedicle is approximately 0.5cm. Bacopa’s calyx has five unequal lobes with the outer two lobes being larger. They are ovate and measure about 7 by 3.5mm in an ovate shape. The inner two lobes are linear and the one median long lobe is oblong, imbricate, obtuse and acute. Brahmi’s corollas are white with violet and green bands. Its didynamous stamens have fi lament pairs 1 and oblong anthers. The fruits are ovoid, acute, 2-celled with 2-valved capsules and minute numerous seeds. It has no distinct odour but a slightly bitter taste. Constituents of Bacopa Monnieri or Brahmi? Bacopa monniera contains the alkaloids brahmine ,herpestatine,(C 34 H46 N206, m p 116-17 0), and a mixture of three bases. The herb also contains saponins, monnierin (C 5,H 82 021 -3H 20, m p 63 0); hersaponin [m p 232-34 0’ (decomp. )], bacoside -A [C 4,H 6.0 13 .4H 20, m p 250 0(decomp.)] and bacoside –B; [C 4,H 68 0,3 .5H 20, m p 203 0. Monnierin, on hydrolysis, gave glucose, arabinose and aglycone (C 30 H48 04, m p 235-37 0) whereas, bacosides A and B gave glucose, arabinose and bacogenines A, A2, A3 and A4; bacogenines A1and A 2.are epimers, and A4 is an ebelin lactone. Smith-de Mayo degradation of bacoside A gave jujubogenin and pseudojujubogenin. Other constituents present are D-mannitol, betulic acid, b -sitosterol. stigma-sterol and its esters, heptacosine, octacosane nonacosane, triacontane, hentriacontane, dotriacontane, nicotine, 3-formyl-4-hydroxy-2H-pyran (C 6H603), luteolin and its 7-glucoside. The presence of a -alanine, aspartic acid, glutamic acid and serine is also reported. Isolation of apigenin-7-glucuronide and luteolin-7-glucuronide from leaves; a new minor saponinbacoside A 1- isolated and characterised as 3-o-a -L-arabinofuranosyl (1-3)-a -L-arabinosyl-jujubogenin; isolation of another saponin – bacoside A3 – and its structure elucidated as 3-0-b -D-glucosyl (1-3)-[o-(a -L-arabinofuranosyl (1–2) -0-b -D-glucosyI-jujubogenin;revision of structure ofcis –isomer of ebeline lactone, obtained during acid hydrolysis as another artifact of jujubogenin. Analysis of the leaves and stalks gave: moisture, 88.4; protein, 2.1: fat, 0.6; carbohydrates, 5.9; crude fiber,1.05; and ash, 1.9 g / 100g. calcium, 202.0; phosphorus, 16.0; iron, 7.8; ascorbic acid, 63.0;nicotinic acid 0.3 mg /100 g; and energy, 38 cal / 100 g. The leaves contain a sterol C 26 H46 O .H 2O, m p 76 0). The drug is characteristically designated on the basis of its total bacosides content which are tetra cyclic triterpenoid saponins. These steroidal saponins called Bacoside A & Bacoside B are considered Bacopa’s most therapeutic constituents. Though Brahmi is now promoted as the ‘brain booster’ of the new millennium Ayurvedic medicine has known this for millennia. It is highly valued in conditions affecting the nervous system and brain. As such it is often prescribed for epilepsy, psychiatric disorders such as a mental breakdown, dementia, alzheimers, neuralgia and poor concentration and memory. Clinical evidence supports Bacopa’s antiinflammatory activitywhich explains its traditional useage for general inflammation and splenomegaly. 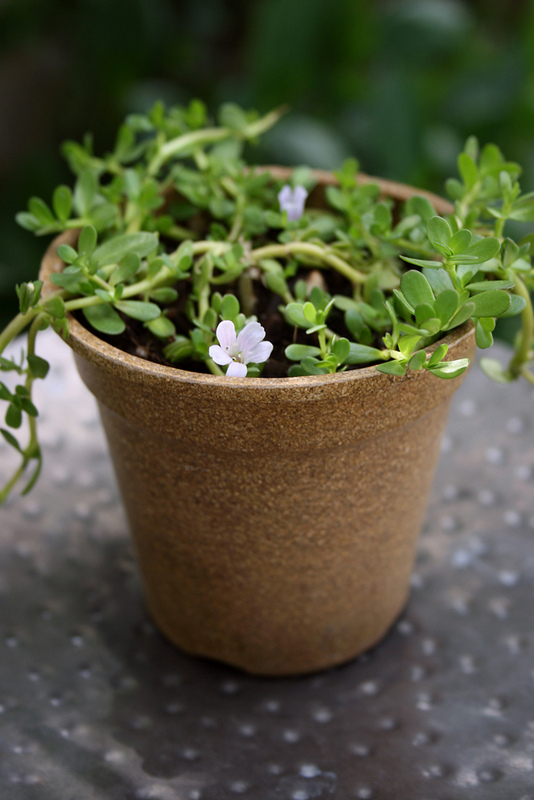 Considered a bronchodilator, those suffering from asthma or bronchitis have benefited from Bacopa. Its emmenogogic action make it useful in amennorhagia and dysmennorhoea. Other miscellaneous historical uses include for biliousness, boils, diabetes, tumours, ulcers, dyspepsia, skin diseases such as leprosy and leucoderma, syphilis and elephantiasis. It is often mixed as a hair oil to restore and preserve the memory and taken internally with ghee to aid its assimilation across the blood/brain barrier. Improved motor efficiency in learning(2). This is hypothetically due to the bacosides. Faster comprehension and improved memory retention(3) Also due to Bacosides A and B.
Analgesic (4) This effect was shown in studies with mice and rats administered Bacopa in a traditional formula called Brahmi Rasayana which also contains cloves, cardamom and long pepper. Anticonvulsant (4), (5) , protects mental function in those with epilepsy who take the drug phenytoin. (Moharana, D.; Moharana, S. Department of Physiology, SCB Medical College, Cuttack, Orrisa.) A clinical trial of Bacopa in patients with various types of epilepsy.. Thirty one adult epileptic patients aged between 23-42 years were treated with Bacopa and other herbs in a formula called Mentat along with the other antiepileptic drugs for a period of six weeks. Bacopa brought about significant reduction in seizure frequency and served as a valuable adjuvant to commonly used antiepileptic drugs. No side effects were observed. Antiinflammatory (6) The mechanism of the antiinflammatory action is said to be similar to NSAIDs such as asprin which are mediated through prostaglandin synthesis and stabilisation of lysosomal membranes. In induced inflammation it was shown to be as effective as the antiinflammatory indomethacin without the side effects of gastric irritation. Improved cognitive function(7)including improved speed of visual information, processing information and memory consolidation. Antioxidant (8) Preclinical research suggests that Brahmi particularly has an antioxidant action on the brain’s frontal cortex, striatum and hippocampus which are all associated with cognitive functions such as memory. Anticancer(10) An ethanolic extract (50%) of the plant exhibited anticancer activity against the Walker carcinosarcoma 256 in rats. Antistress(11) Clinical studies performed in India confirm that the bacosides can revitalize intellectual functions in children and reduce anxiety in stressed individuals thereby contributing to improved brain functions. Studies have suggested that Bacopa prepares the brain to respond to stress in the most efficient way. Thyroid stimulating(12) When given to male mice Bacopa was shown to increase T4 concentrations suggesting a thyroid stimulating role. Mast cell stabiliser (13) A methanolic fraction of Bacopa was shown to have mast cell stabilising effects comparable to disodium cromoglycate, a known mast cell stabiliser. Traditional uses include for neuralgia, inflammation, tumours, ulcers, constipation, asthma, bronchitis, skin diseases, syphilis, fever and dysmenorrhoea. Brahmi possess no known side effects or toxicity at normal doses. In experimental studies, the saponinrich highly potent extract of Brahmi did not show any endocrine, metabolic, gastrointestinal, anabolic or behavioural side effect. No lethality was observed on the oral administration up to 2150 mg/kg body weight in rats and mice. Clinical Studies in school children for over three years have not shown any adverse side effects. In healthy human volunteers multiple doses of bacosides (the active ingredient in Brahmi) have been well tolerated and are devoid of any untoward reactions or side effects. The isolated extract of brahmine from Bacopa was shown to be highly toxic when administered at a dose of 0.5 mg/kg body weight of cats as it produced a fall in blood pressure. In therapeutic doses it is said to resemble strychnine. Homeopathic extracts to the value of 1x can be vitally beneficial if taken at a recommended dosage as the extract is much purer with lesser impurities.. The micronutrients and electrolytes in plankton and algae are exactly what human cell membranes need to carry out their metabolism. Not surprisingly, the composition of human plasma or fluid surrounding cell membranes is similar to that of sea water. Relying solely on land-based food sources may lead to deficiencies in these micronutrients and electrolytes. While transient sub-optimal nutrition may be forgiven, a constant diet lacking in these micronutrients will adversely affect every function, structure and detoxification functions of the human cell. Our metabolism will suffer, leading to practically all diseases. In fact, the causes of diseases have been simplified to very specific mechanisms, all of which center on cell membrane function and structure. Inflammation, oxidation, toxicity and mitochondrial dysfunction keep cell membranes from doing their job effectively. Good nutrition will enhance the structure and function of all organs in our bodies. Our brain, muscles, heart, arteries, joints, bones, skin, hair, hormones, immune system, vision, digestion, kidneys and liver will carry out their jobs much better. Metabolically our lipids and sugars can be optimized, thus providing more overall energy, minimize weight problems and improve sleep. These nutrients improve mental function and memory. They reduce depression, harmful effects of stress and mood swings. Algae and plankton contain high levels of antioxidants and anti-inflammatory micronutrients to fuel metabolism and detoxification. Also, they stoke the fires of the mitochondria, where cells make energy required to carry out their function. Iodine plays an important role in all aspects of cell function. Algae, fish in general, and phytoplankton in particular, are very high in iodine content, another compelling argument for turning to this super-food. Our cell membranes are mostly composed of phospholipids or fats. Most of our health problems are due to a breakdown in cellular communication, which leads to a lack of energy production at the cellular level. Consequently, the function and composition of cell membranes throughout our bodies are critical for our well-being. Since most people consume too many toxic fats and not enough healthy fats, like omega oils and essential oils, the stage is set for significant dysfunction. While all whole grains share similar health benefits, each individual whole grain also offers its own special advantages. White rice is fast being dropped from our plates for its brown counterparts. The defeat could be blamed on the fear of pushing the belly 5 inches out of what it is now. But, should the fear be allowed to stay? Scientists working with Zhimin Xu at the Louisiana State University Agricultural Center have found that black rice (sometimes called “forbidden rice”) contains health-promoting antioxidants called anthocyanins, at levels similar to those found in blueberries and blackberries. A team of researchers at Cornell University, including WGC Scientific Advisor Rui Hai Liu, analyzed the phenolic content and antioxidant activity of 12 diverse varieties of black rice, and found that antioxidants were about six times higher in black rice than in common brown/white rice. The black rice bran had higher content of phenolics, flavonoids and anthocyanins. Journal of Agricultural and Food Chemistry, July 14, 2010; 58 (13): 7580-7. Scientists at the Harvard School of Public Health followed 39,765 men and 157,463 women as part of the Health Professionals Follow-up Study and the Nurses’ Health Study I and II. They found that those eating several servings of white rice per week had a higher risk of Type 2 diabetes and that those eating 2 or more servings of brown rice had a lower risk. They estimate that replacing about two servings a week of white rice with the same amount of brown rice would lower diabetes risk 16%. Archives of Internal Medicine. June 14, 2010; 170 (11): 96-9. One in ten Chinese adults is estimated to have diabetes, with another 16% on the verge of developing it. With a rate of increase in diabetes faster than in Europe or the U.S., Chinese nutrition experts seeking to promote whole grain brown rice in China carried out a pilot study with 32 Shanghai residents, to learn about attitudes to brown rice. Only a quarter of the group had ever tried brown rice, and almost all (30 of 32) ate white rice daily. While most participants had an inferior view of brown rice before the project, after tasting it and learning of its health benefits, their views became more positive, and 27 of the 32 expressed a willingness to participate in a future long-term brown rice intervention study. Journal of the American Dietetic Association. August 2010; 110(8): 1216-21. At the Department of Food and Nutrition at Hanyang University in Seoul, Korean researchers randomly assigned forty overweight adult women to two groups. For six weeks, one group ate meals containing white rice, while the other consumed otherwise-identical meals with a mix of black and brown rice. While both groups showed significant reductions in weight, BMI and body fat, the whole grain rice group surpassed the white rice group in all three measures. The whole grain group also saw an increase in HDL (good) cholesterol and in antioxidant activity. Nutrition Research. February 2008; 28(2): 66-71. Lower post-prandial blood glucose response can be important both for preventing and for controlling diabetes. In a study at the University of the Philippines, researchers used a randomized cross-over design to compare the effects on blood glucose of brown rice and white rice on 10 healthy and nine Type 2 diabetic volunteers. In healthy volunteers, the glycemic area and glycemic index were, respectively, 19.8% and 12.1% lower with brown rice than with white rice; with diabetics, the same values for brown rice were 35.2% and 35.6” lower than with white rice. International Journal of Food Sciences and Nutrition. May-June 2006; 57 (3-4): 151-8. Rice is a staple in Asia, where breast and colon cancer rates are markedly lower than in the Western world. Scientists at the University of Leicester, UK, analyzed the phenolic compounds in brown rice, brown rice bran, and white milled rice (from the same varietal) to look for known cancer-suppressive compounds. They discovered that several such compounds were present in all three samples, but were found in much lower levels in the white rice. They postulated that consuming rice bran or brown rice instead of white rice may be advantageous with respect to cancer prevention. Cancer, Epidemiology, Biomarkers & Prevention. November 2000; 9(11): 1163-70. Indians consume gluten products on a daily basis in the form of fresh breads called chapatti(s), roti(s), nan etc. These are varied in the type of flour used to make each bread, for instance roti(s) are made from wheat flour which is a cultivated crop offering a specific type of protein from vegetable sources that are called “Gluten”. First off gluten in our foods now is not the same as gluten in our food even 10 years ago. It is preserved with formaldehyde a known carcinogen. Gluten has been genetically modified and the most common carrier to move DNA from one organism to another is e. coli bacteria. Gluten has been added to many food items and now it is nearly impossible to eat the standard diet without getting a significant amount of gluten. So were getting more gluten in our diets than ever before and it is treated with formaldehyde and it’s been modified using e. coli to move DNA around. It is know in the field of epi-genetics that if you introduce a certain type of toxin to a rat, you will cause the rat to become obese. In this way scientists can study obesity. If these obese rats reproduce they will reproduce rats that are obese. Even the offspring from these rats will be obese and on down the line, the DNA will be expressed in such a way that the rats are all obese. Also, gluten is inflammatory and inflammation has been linked to most chronic illnesses and pain syndromes. If you look at the gluten molecule from a biochemistry standpoint what you see is that the gluten molecule is very similar to the cartilage in joints. So, if someone has an allergic type reaction to gluten or if they have an auto-immune problem they could be making it worse by eating gluten. The body is attacking the gluten but then attacking itself too. The biochemistry pathways for anti-inflammation are used when the diet is high in alkaline producing foods such as fruits, vegetables and omega 3′s (fish oils) and the pathways for inflammation are used by the body when the diet is high in processed foods and grains, especially gluten. Inflammation has been linked to most chronic illness including heart disease, diabetes, multiple sclerosis, macular degeneration, systemic lupus, arthritis and many others. Clinically it is seen is that if we get a patient off gluten 100%, they heal at a predictable rate; they stay well and they can get on with their lives in a pain-free way. Clinically what we see is that the clients who take in gluten don’t heal very well; they have significant ups and downs; they don’t have good outcomes. What can be a gluten-free diet? There are several soups and stews that are good gluten-free choices. Tomato shorba is a water-based tomato soup that may contain coconut milk and ghee (butter). Dal is a popular lentil-based stew that contains a variety of fried spices and vegetables. Tadka, a combination of regional spices, such as cumin, cayenne pepper, cilantro and mustard seeds, is fried in oil and poured over dal prior to serving. Another hearty, legume dish is called chana masala. The base of this spicy stew is chickpeas, spinach and a wide variety of Indian spices. Aloo jeera is a dish composed of cumin- seasoned diced potatoes; aloo mutter is a hearty potato and green pea dish, and aloo gobhi is a potato/cauliflower dish cooked in a spicy sauce. Vindaloo is a vegetable stew made with garlic, ginger, dates, a variety of spices and vegetables as well as beans and green peas. It may be served over rice. Madras-style green beans are green beans cooked with ghee or butter, red onions and a variety of spices. Okra with onions, and Indian cauliflower curry with yogurt are popular vegetable side dishes. All of these options are suitable for those on a gluten-free diet. Rice is gluten-free and forms the base of many Indian dishes. Pulao is a rice pilaf where the rice has been fried and sautéed with other ingredients. Variations on this dish include jeera pulao, which is made with cumin seed and paneer pulao which is made with homemade Indian paneer cheese. Vegetable handi biryani is a heavily spiced rice dish often served with a thick chutney called salan and raita, a cucumber-yogurt sauce. Curd rice is a southern Indian rice dish that is made with dairy products, such as yogurt. Though Indian food is primarily vegetarian there are some fish dishes, such as achari fish tikka, which is a boneless white fish marinated in yogurt and pickle spices. This and tandoori goaldachingri, large tiger prawns cooked and marinated in kebab spices, are both generally gluten-free. Paneer tikka is marinated, spiced homemade Indian paneer cheese that has been coated in yogurt and cooked in a tandoor oven. Rarely, it is coated in flour. If that is the case, it is not a gluten-free dish; otherwise, it is acceptable on a gluten-free diet. Paneer makhani is a recipe for paneer cheese simmered in a buttery sauce that may contain a tomato component. While naan bread is off limits, pappadum is a gluten-free crispy wafer-like flatbread made from lentil or chickpea flour. Dosas, a southern Indian favorite, are wheat-free crepes made from rice and lentil flours that are often stuffed with savory fillings. Idli, also native to southern India, is a spongy “cake” also made from rice and lentil flour; ideal for mopping up sauces and chutneys. Vadai, another gluten-free starch, is a small, savory “donut” made from lentil, rice or potato flour. Goji Berry.. Super Food Topper?? The goji berry is also called the wolfberry. It is a bright orange-red berry that comes from a shrub that’s native to China. In Asia, goji berries have been eaten for generations in the hopes of living longer. Over time, people have used goji berries to treat many common health problems like diabetes, High Blood Pressure, fever, and age-related eye problems. Goji berries are eaten raw, cooked, or dried (like raisins) and are used in herbal teas, juices, wines and medicines. How does Goji berries benefit us? It’s possible but not proven that eating foods high in antioxidants may slow the ageing process. A Japanese study of 1,000 people over 70 found that those who drank the most green tea (containing catechins – a type of flavanoid) showed the least signs of the cognitive decline associated with ageing. It’s believed antioxidants work by minimising damage to your cells from free radicals that injure cells and damage DNA. When a cell’s DNA changes, the cell grows abnormally. Antioxidants may take away the destructive power of free radicals. By doing so, antioxidants help reduce the risk of some serious diseases. Goji berries also have compounds rich in vitamin A that may have anti-ageing benefits. For instance, one recent Cochrane review published in the journal Dermatologic Therapy argues, “Retinoids are capable not only of repairing photoaged skin at both the clinical and biochemical levels but their use may prevent photoaging.” NHS Choices says vitamin A has several important functions from strengthening immunity against infections to helping vision in dim light as well as maintaining cell growth in some areas of the body. Vitamin A has also been studied as a treatment for many other conditions, including some types of cancer, cataracts and HIV. However, the results for these are inconclusive and more research is needed. Some researchers suggests that goji berry extracts may boost brain health and may protect against age-related diseases such as Alzheimer’s. But more studies are needed. While goji berries are a rich source of antioxidants — and early research shows a potentially powerful health benefit — it’s still unclear how they stack up against other berries. Researchers also don’t know whether goji berry supplements have the same health benefits as the actual berries. Do Goji berries have a downside or side-effects? Chamomile Tea.. Maximize ur digestive health..
Camomile Tea benefits are one of the hidden secrets that many people tend to forget. Everyone likes to talk about the benefits of Green Tea, and Mate, but everyone seems to forget the health benefits of Camomile Tea. If you have a cold, you need to make a pot of camomile tea, because the benefits to your imune system are great! Camomile will boost your imune system and help you fight off that nasty cold. Chamomile Tea.. Health and Digestion.. In fact, it is a secret fact that the egyptians and romans used to use camomile flowers on wounds, specially prepared, to help speed up the healing process. If you are a female and suffering from menstral cramps, you will be amazed at how well camomile tea works at soothing the cramps. Basically, camomile tea is a wonder tea that should be kept on hand, and be a part of any medicine cabinet or tea stash. The best part about the tea is the effects of drinking camomile tea will remain for up to two weeks following your last cup, due to the way camomile tea elevates your hippurate and glycine levels. If you have a swollen joints, have pain running on a teadmill, or wake up with swollen knees like me, start drinking camomile tea today! You will be amazed. 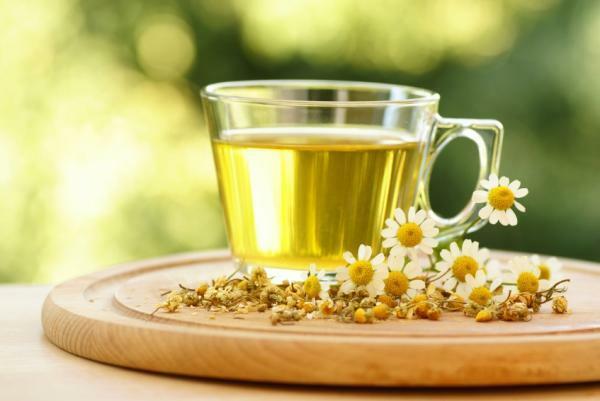 Let’s go through the top 10 benefits of drinking camomile tea. Chamomile tea comes from herb Matricaria recutita. Its leaves have been brewed for centuries and drank as a fragrant and flavourful tea. When was the last time you had some camomile tea? Was it for a cold?